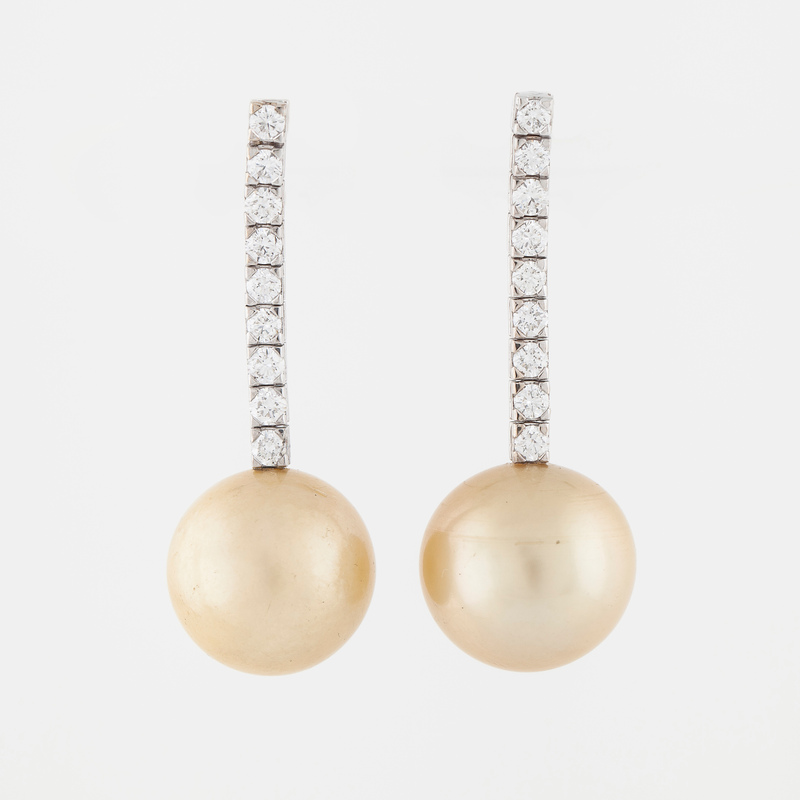 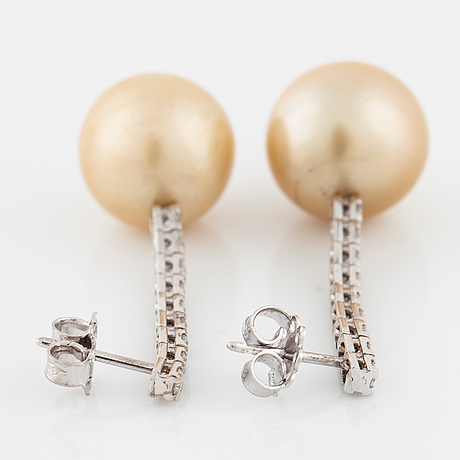 These earrings with beautiful pearls and brilliant cut diamonds are perfect for dressing up or for everyday use. 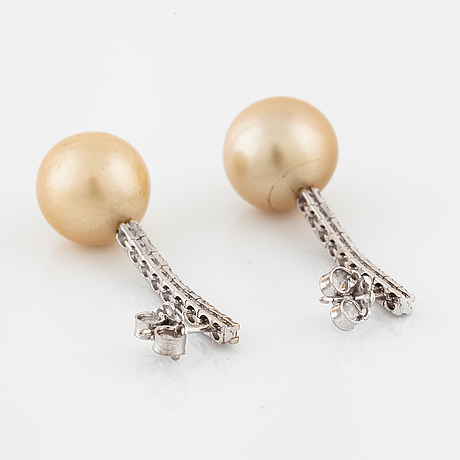 A better gift than a pair of pearl earrings is hard to find. 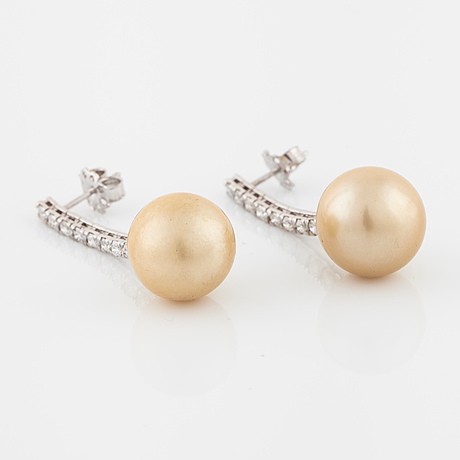 Pearls: Diameter of about 14 mm. 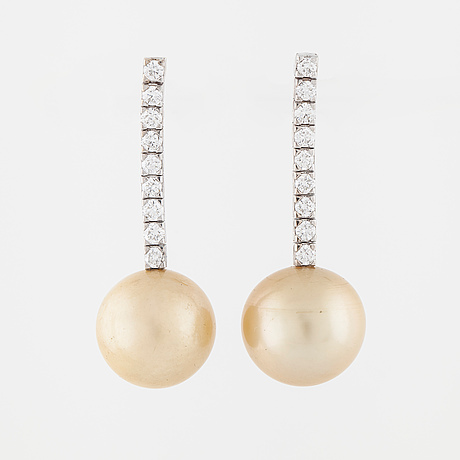 Stone: Diamonds about G-H/VS-S, 0.95 ct.